Hello, friends. We are in a new higher interest rate environment and are heading even higher going into 2019 and 2020. I’ll explain what’s happening behind the scenes and what you can expect to unfold in the next year or two. 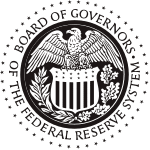 The Federal Reserve interest rate hike of .25% at the last Federal Reserve Open Market Committee, meeting that concluded on September 26th, 2018, was a continuance of their increasing rate policy that began in December of 2015. The rate increase was applied to the Fed Funds, which is the interest rate at which depository institutions (banks and credit unions) lend reserve balances to other depository institutions overnight, on an uncollateralized basis (unsecured by physical assets like your credit cards). Reserve balances are amounts held at the Federal Reserve to maintain depository institutions’ reserve requirements. Institutions with surplus balances in their accounts lend those balances to institutions in need of larger balances. The current Fed Funds rate of interest is 2.25% which is up from .25% back in December of 2015. The last time the Fed Funds was at 2.25% was in mid-2008 which means the Fed kept the Fed Funds rate at that historically low level of.25% for around 7.5 years starting at the time of the Great Recession. The Fed very quickly cut the Fed Funds rate from 5% in August 2007 to .25% in December 2008 as part of its Quantitative Easing process at the beginning of the Great Recession. The only consumer interest rate that the Fed Funds directly affects is the Prime rate, which is always 3% + the Fed Funds rate. All mortgage rates and indices follow the Fed Funds rate increases and declines over time. Adjustable rate indices such as LIBOR and the One Year Treasury follow the Fed Funds closely but fixed rate mortgages follow the Fed Funds loosely within a wide range. The trading of mortgage backed securities and treasury bonds on Wall Street have a more immediate effect on fixed mortgage rates than the Fed Funds rate. To that point, the Fed had been actively suppressing consumer interest rates, including fixed mortgage rates, not only by manipulating the Fed Funds rate but by being a heavy buyer of mortgage backed securities and treasury bonds, which helped to suppress mortgage interest rates over the past 10 years. This policy was part of the overall set of Quantitative Easing policies that were acted upon in three phases, QE1, QE2, and QE3. On October 3rd of this year, the Feds QE policies ended and we saw mortgage rates spike up .25% on that one day with additional increases over the course of that week. Overall, fixed mortgage rates are .25% – .5% higher for conventional, conforming fixed rate mortgages now than prior to 10/3/2018. With no more QE from the Fed, we are now back to where we were prior to 8/2/2017 when all hell broke loose in the mortgage industry. Mortgage rates will now fluctuate at a more normal cycle based on daily changes in the bond and stock markets. The Fed will continue to influence mortgage rates to some degree by manipulating the Fed Funds rate but this was always the case even in more normal times. The Fed meets eight times a year and can set new rate policy at each meeting. The Fed has stated that it wants to increase the Fed Funds rate in December of this year, three times in 2019, and two times in 2020. Current Fed Chair Jerome Powell doesn’t care about what Trump wants when it comes to monetary policy and feels that the rate hikes are keeping inflation at or below the Fed’s typical 2% target. Practically speaking, the end result of these rate hikes is to help shift the real estate markets from a seller’s market to a buyer’s market and will cause property prices to halt and start moving downwards over the next one to two years. My realtor contacts have already indicated a slowing in property prices with properties sitting on the market for longer periods of time. Each rate hike at the current lofty property prices eliminates more buyers from the market because they can no longer qualify for mortgages now, that they could qualify for prior to the recent rate hikes. This, in turn, results in fewer offers, especially less multiple offers, on each property listed for sale. As potential property sellers start to wake to the market change, we should see an increase in inventory from those potential sellers who were holding out to sell at peak market. This increase in inventory, coupled with a reduction in potential home buyers, will tip the scales back into the buyer’s favor and we may see a prime moment to purchase in a year or so. Don’t count on the buyer’s market to last for long because price reductions will just bring those buyers who were forced out with the recent rate hikes back into the market and we will get back to a multiple offer environment again, which will drive property prices back up again. 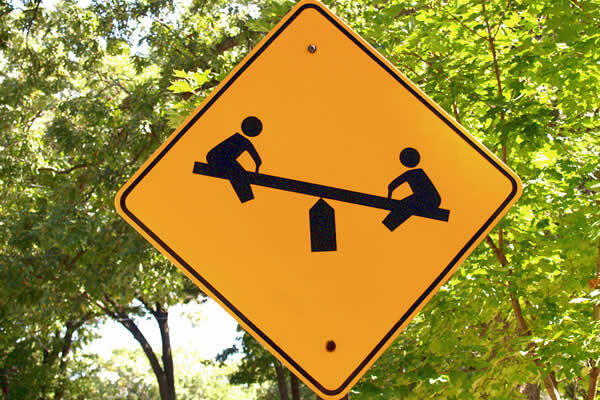 The real estate seesaw continues! If you want to get more timely market updates, I have a weekly newsletter that goes out via e-mail. E-mail me to be added to my mailing list.